Looking for greater investment opportunities? Titan Trade is a leading binary options trading platform that provides traders and investors the ability to trade stocks, indices, currency pairs and commodities on the binary options market. We are opening the gates to the exciting world of binary options trading by creating a simple, professional and profitable trading environment where anyone can trade binary options in a smart and secure way. Powered by Markets.com, our platform was designed to be easy to use, while still being powerful enough to give traders unique risk management features to help reduce their exposure to risks. To date, we offer four different types of binary options to trade; these are the High/Low, One Touch, Short-term and Range. Besides these powerful Titan Trade trading instruments, we also offer an array of unique trading tools including Double Up, Roll Over, Sell Option and Option Builder. There’s a vast range of underlying securities available for trading, including hot currency pairs, popular commodities, leading stocks and global indices. In our asset index, you’ll find the asset’s description, trading hours, expiry rate formula and symbol. Binary options trading can become risky without having enough knowledge on the markets. That’s why we always give our traders the most comprehensive market news and up-to-the-minute market forecasts to keep them informed at all times. Maintain your edge with our comprehensive newsroom for the latest breaking news, daily market reports and a well-managed economic calendar that explains the potential impact of upcoming global economic events. Our resource center is designed to make binary options accessible to traders at every level. Whether you want to learn the basic building blocks of binary options trading, or aim to pick up more advanced concepts to enhance your skillset, our resource center will give you everything you need to become a successful trader. Besides the extensive resource center, our friendly and professional account managers are on hand to help you every step of the way. The moment you sign for an account, you’ll be introduced to your personal account manager to assist you in constructing an effective trading strategy that suits your skills. Your account manager can also reserve your place in any of our exclusive webinars and can arrange one-on-one meetings with one of our market analysts. Best of all, your account manager will tell you when you’ve accomplished your goal and remind you to quit while you’re ahead so that you can enjoy your profits. If you’re thinking of other ways to invest your binary options profits, Titan Trade has it for you. The site houses a section where you could choose from various investment opportunities, which involves cryptocurrency mining like Bitcoin, Litecoin, and Ethereum mining. There are many ways to earn profits without leaving your home, and Titan Trade serves as your gateway towards bigger bank accounts. Creating a secure trading environment is one of our priorities here at Titan Trade, and our powerful platform provides our clients with the highest level of protection that safeguards their funds and financial information. By employing stringent security protocols, Titan Trade ensures data security to give you peace of mind while trading binary options. All financial and personal details are protected by the most advanced digital encryption technology to ensure that your sensitive details remain private and secure at all times. We believe that there’s no substitute for personal assistance, that’s why our multilingual specialists are always on standby to give expert assistance via the method that’s the most comfortable for you to use. Get on our live chat Titan Trade Support, give us a call or send us a quick message, from these interactions you’ll know how much we value your satisfaction as our trader. Start your trading career with the most developed binary options platform on the web! 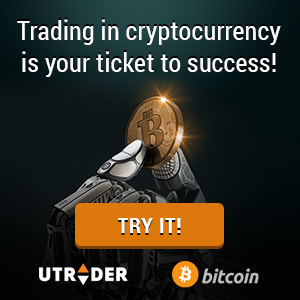 Click here to join Titan Trade!